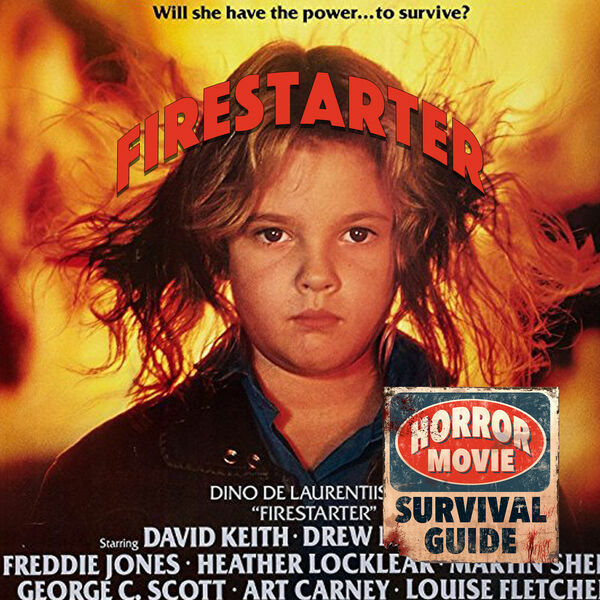 Horror Movie Survival Guide - Firestarter "Burn it all down, baby." Firestarter "Burn it all down, baby." Finishing up our killer kids round is the awesome film adaptation of Stephen King's Firestarter, with an all star cast led by little yet ferocious Drew Barrymore as Charlie, who must go on the lam when the government comes after her and her father to experiment on their special powers - including setting things on fire with a single look. The government's got some toasty work ahead of them!